Humberto Arteaga does not have any MLB stats for the season. Full name is Humberto Jose Arteaga…resides in Carabobo, Venezuela during the offseason with his daughter, Victoria Isabelle. Spent the entire year at Northwest Arkansas (AA), playing in 124 contests…appeared in contests at second base (19), third base (6) and shortstop (96) and designated hitter (2)... Named a Texas League All-Star for the first time in his career...started the game at shortstop for the North Division... His 124 games played ranked ninth in the league while he was also 13th in at bats (453) and 19th in hits (117)… in each of the last five seasons, he's played in at least 118 contests, including a career-high 130 in 2013... After a slow start, batted .332 (62-for-187) with nine doubles, two triples, two homers and 23 runs scored from May 1 to June 30…however, he hit just .204 (41-for-201) with two extra-base hits after the All-Star break... Collected a season-high four hits and two doubles, going 4-for-5 in a 9-6 win, June 14 at Tulsa... Appeared in 21 games for Navegantes del Magallanes in the Venezuelan Winter League…hit .213 (17-for-80) with three doubles, a triple and six runs scored. April 21, 2019 3B Humberto Arteaga assigned to Omaha Storm Chasers from Idaho Falls Chukars. April 17, 2019 3B Humberto Arteaga assigned to Idaho Falls Chukars from Omaha Storm Chasers. 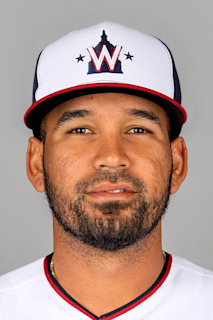 January 8, 2019 Kansas City Royals invited non-roster 3B Humberto Arteaga to spring training. December 31, 2018 3B Humberto Arteaga transferred to Tigres de Aragua from Aguilas del Zulia. October 7, 2018 3B Humberto Arteaga assigned to Aguilas del Zulia. April 2, 2018 3B Humberto Arteaga assigned to Omaha Storm Chasers from Northwest Arkansas Naturals. January 5, 2018 Kansas City Royals invited non-roster SS Humberto Arteaga to spring training. January 7, 2017 Kansas City Royals invited non-roster SS Humberto Arteaga to spring training. November 24, 2016 SS Humberto Arteaga assigned to Navegantes del Magallanes. November 24, 2016 Navegantes del Magallanes activated SS Humberto Arteaga. June 30, 2016 SS Humberto Arteaga assigned to Northwest Arkansas Naturals from Wilmington Blue Rocks. March 7, 2016 SS Humberto Arteaga assigned to Kansas City Royals. October 13, 2015 SS Humberto Arteaga assigned to Navegantes del Magallanes. July 7, 2015 SS Humberto Arteaga assigned to Wilmington Blue Rocks from Lexington Legends. April 1, 2014 SS Humberto Arteaga assigned to Lexington Legends from Idaho Falls Chukars. March 21, 2014 IF Humberto Arteaga assigned to Kansas City Royals. June 19, 2013 SS Humberto Arteaga assigned to Idaho Falls Chukars from Lexington Legends. March 29, 2013 Humberto Arteaga assigned to Lexington Legends from Burlington Royals. June 13, 2012 Humberto Arteaga assigned to Burlington Royals from AZL Royals. March 31, 2012 SS Humberto Arteaga assigned to Kansas City Royals. June 20, 2011 Humberto Arteaga assigned to AZL Royals. February 27, 2011 SS Humberto Arteaga assigned to DSL Royals. November 20, 2010 Kansas City Royals signed free agent SS Humberto Arteaga to a minor league contract.